Pretty much every car on the road has a black frame, baked into the glass of the windscreen. It is around 3-4 centimetres wide and usually has a dotted pattern right next to it. While it may seem like just a strange design feature, this frame, called the frit, actually serves a purpose. Even if you crack your original windscreen and get it replaces, they are going to install glass with a frit – it is simply unavoidable. Actually, its function has a lot to do with how windscreens are installed. Back in a day when windscreens were held in place with a rubber frame, frits didn’t exist. But now they are glued in and that is why there is a black frame baked into your windscreen. And we do mean it when we sake “baked in”, because the frit is nothing else but ceramic enamel, which is applied during the manufacturing process, before the laminated glass is heat treated. Glass is very hard and smooth material, which is great, but because of that it glue doesn’t stick to it very well. That is one of the reasons why ceramic is baked into the perimeter of the windshield – glue sticks better to ceramic than it does to glass. Furthermore, black ceramic enamel hides the glue from the plain sight. Glue is ugly and so it makes sense to cover it with something. Glue also needs protection against the UV rays, because they can make glue hard and brittle, which is not great, having in mind all the vibrations it has to withstand. 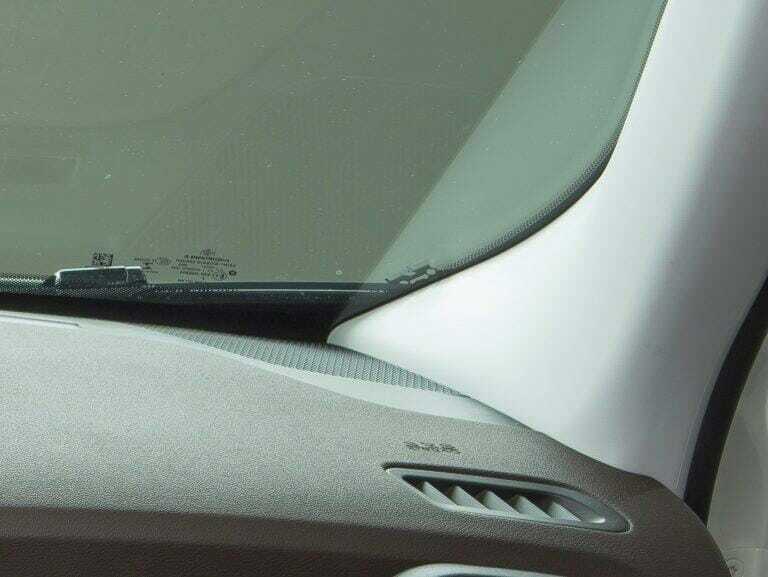 Eventually hardened glue would simply let go in some points, probably causing the windshield to crack. That wide frit band helps keeping the glue flexible and strong. And finally, what are those dots for? The answer is simple – for the looks. They break the hard contour of the enamel frame, allowing it to transition smoother into the clear glass. That dotted pattern does not serve any practical function. However, some manufacturers use it to hide some Easter eggs in their cars. For example, you can find a little Willys MB on the windshield of the JEEP Renegade. This little detail is formed from the same black ceramic enamel and is also baked into the laminated glass. By the way, you can also find the frit line around the side windows of the bus as well and there it serves the exact same purpose of hiding the glue. 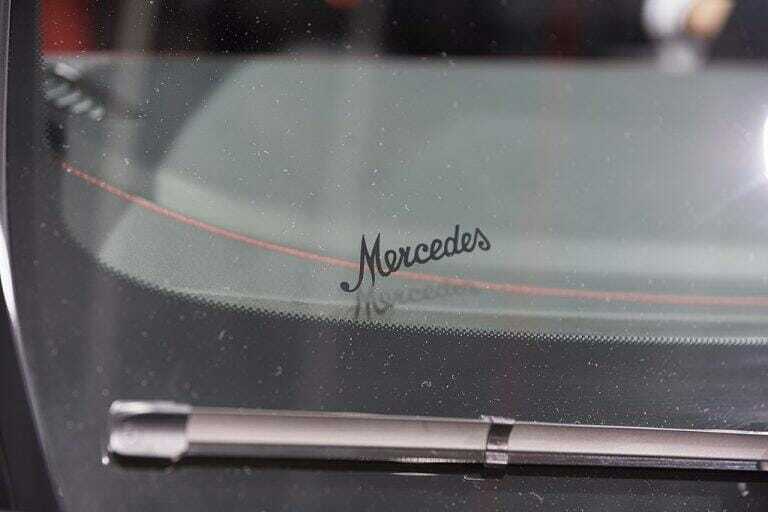 Posted in CarsTagged car manufacturing, windscreen, windshieldLeave a Comment on What is that black frame around the car windshield? What function does it serve? Why modern cars have so much plastic under the bonnet? We want to see the engine! There is one thing you will not see under the bonnet of a modern car – it’s the engine. Nowadays, it is always hidden under several layers of plastic, moulded to look like some mechanical parts. They don’t even look good and you have to dig through them if you want to do any maintenance or repair work. But why every single car has these plastic engine covers? Why do car manufacturers bother to spend extra time and money to make them? 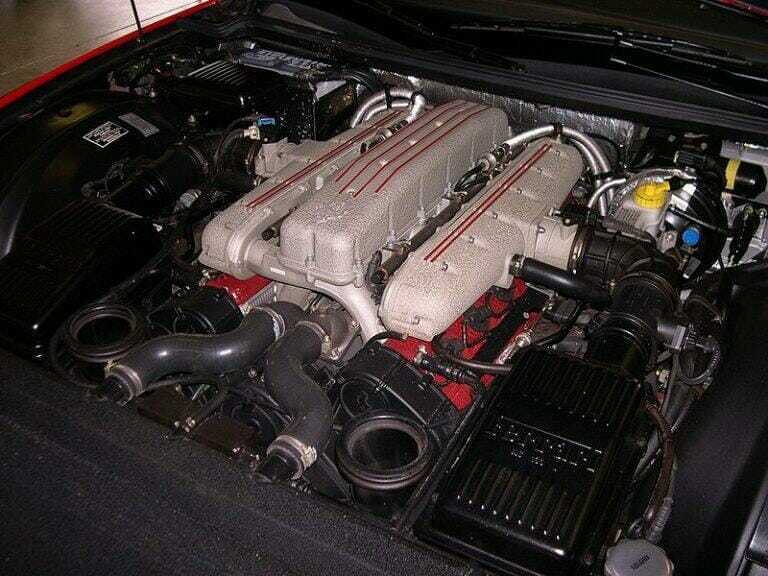 Not so long ago car engines were designed to be easily accessible and to look good. 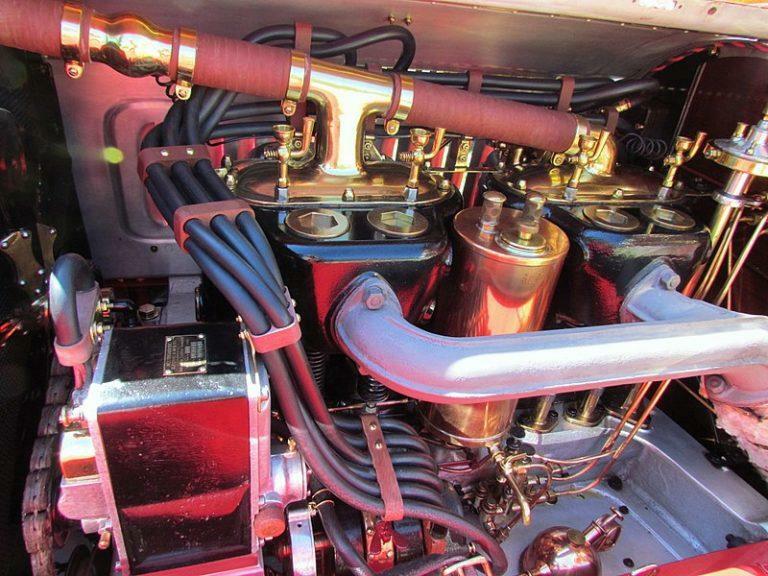 In the beginning of the previous century car manufacturers actually worked hard to make their engines pretty. They chose different metals, neatly organized fuel lines and wires and painted various parts different colours. All of that was expensive and time consuming, but such manufacturers as Packard, Daimler, Duesenberg and others did it anyway. Even Ferrari was always praised for how well its engines were dressed and how beautiful it looked inside and out, but now it is also falling under the plastic trend. But what changed? Well, a lot of things. Back when Packard was one of the top premium brands, people actually admired engines. The internal combustion engine was the cutting edge of technology and not that many people could afford to own one. Nowadays cars a mundane and boring – everyone has one and no one wants to look at the engine. We, car enthusiasts, still do, but to be honest we don’t buy that many cars. And so manufacturers resorted to the function-over-form mentality, saving cost in the process. Investing into the looks under the bonnet is not a priority anyway, because no one buys the car just because it has a beautiful engine bay. A plastic engine cover hides unsightly rat’s nest of wires and fuel lines, while making them still quite easily accessible. A nicely dressed engine bay typically means that some components can be hard to reach for repair. When you have a big piece of plastic hiding everything, you don’t have to worry about the looks – it is the cheapest way to keep the engine bay looking tidy. This is equivalent to cleaning the mess off of your desk straight into the drawer – out of sight, out of mind. However, plastic is not that bad. Sure, metal looks nicer, but it is easier to control the quality of the plastic. It also doesn’t add too much weight on top of the engine, allowing for a lower centre of gravity. Finally, plastic engine covers can be heat-resistant and absorb vibrations, making the sound of the engine just that little bit quieter. And so, plastic is here to stay. 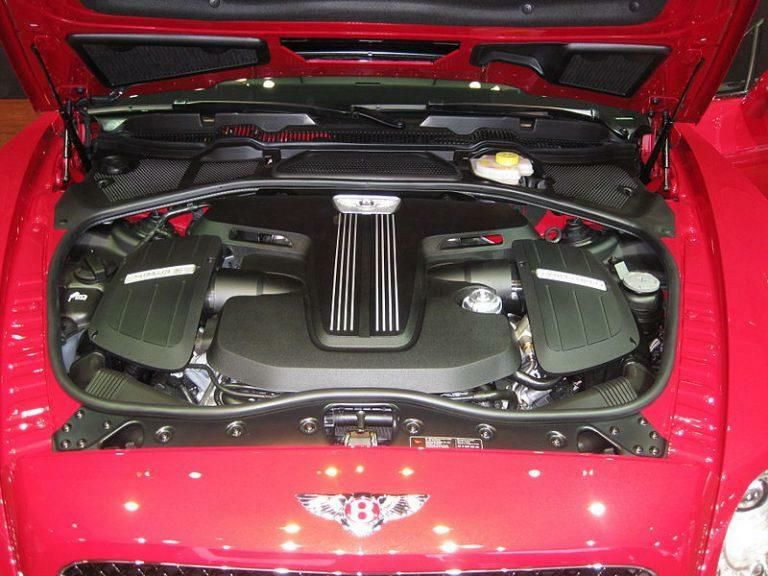 Even luxury car manufacturers are hiding their engines under several layers of plastic. And we cannot blame them. Covers do make the engine bay look clean and tidy, they are light, heat resistant and cheap to make. In fact, it is likely that in the future engines are going to be tucked away even more and not accessible without specialized equipment. Posted in CarsTagged car factory, car manufacturing, engine bayLeave a Comment on Why modern cars have so much plastic under the bonnet? We want to see the engine! 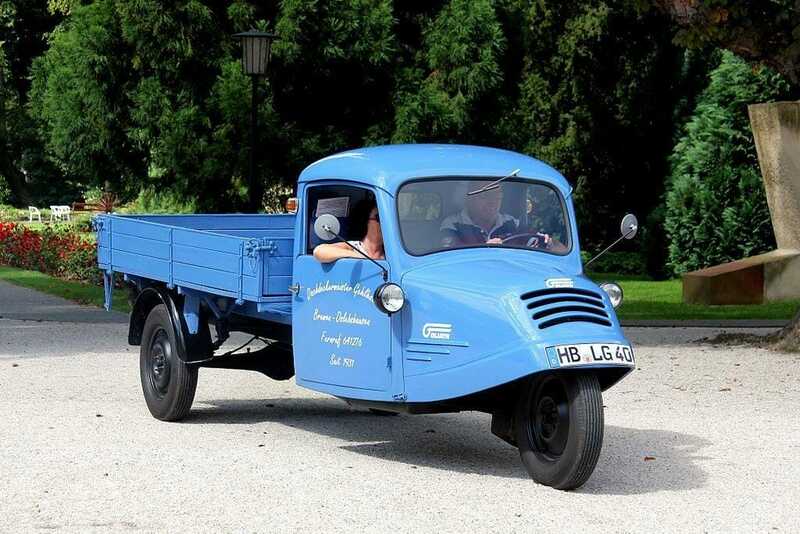 You probably remember the little blue three-wheeler van that constantly had to deal with trouble caused by Mr. Bean. Well, it had a tougher brother in a shape of Reliant TW9. This truck, commonly known as the Ant, was a small three-wheeler pickup, which was very useful in a variety of applications. Reliant was famous British manufacturer of small cars, most of which had only three wheels. Reliant Ant was a little different in a way, because it was a truck rather than a car. It had three wheels, but that didn’t get in its way of finding work in many different areas. TW9 was introduced in 1967. It was a small pickup truck with one wheel in the front and a normal driven axle at the rear. It had a decently strong steel frame with a fiberglass cabin for two people. At first, Ant was equipped with a 700 cc engine, producing 27.5 bhp (20 kW) of power, but in 1972 a new 748 cc engine, making 32 bhp (23.5 kW), was introduced. The improvement was welcomed, because Reliant Ant was very slow and didn’t like carrying heavier loads. In 1975 Reliant started putting its 850 cc engine in the Ant, which had 45 hp (33.6 kW). Interestingly, RHD and LHD Ant’s were different. TW9 meant for the domestic market had a loading capacity of 800 kg, even though it really didn’t like that sort of weight on its back. Councils in England, Wales and Scotland bought large amounts of Reliant Ant’s and used them in a variety of applications. The chassis and cabin was said to cost £451. They were carrying water tanks, pushing snow plows, worked as refuse trucks and much more. People still remember Reliant Ant working as a road sweeper, while companies enjoyed tipper, van and fixed flatbed versions. 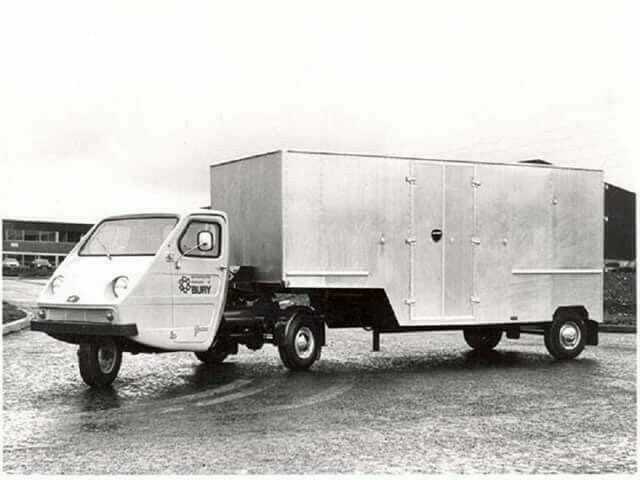 Probably the most unusual looking is the Ant with a fifth wheel – in this configuration it was one of the weirdest semi-trucks in the world. 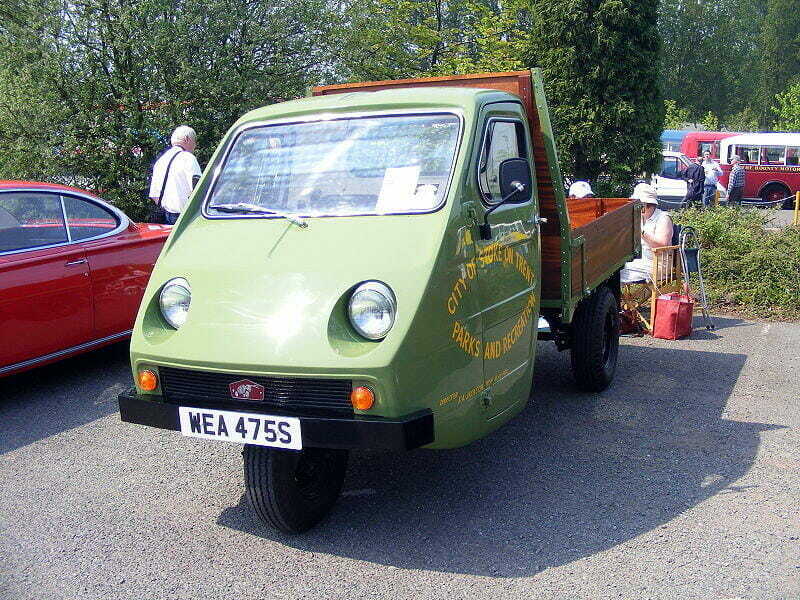 Surely, the trailer had to be light, but they said that Reliant Ant could pull more than it could carry on its frame. Meanwhile LHD version was mostly aimed at the Mediterranean region, where it was set to compete against Piaggio’s three-wheelers. LHD Ant could carry only 500 kg worth of cargo, but that was a much more comfortable weight for the tiny engine anyway. Eventually Greek company MEBEA started building these trucks under licence. Reliant finished production of the TW9 in 1987 – it was manufactured there for 20 years. However, some other companies continued making the Ant under licence until 1995. 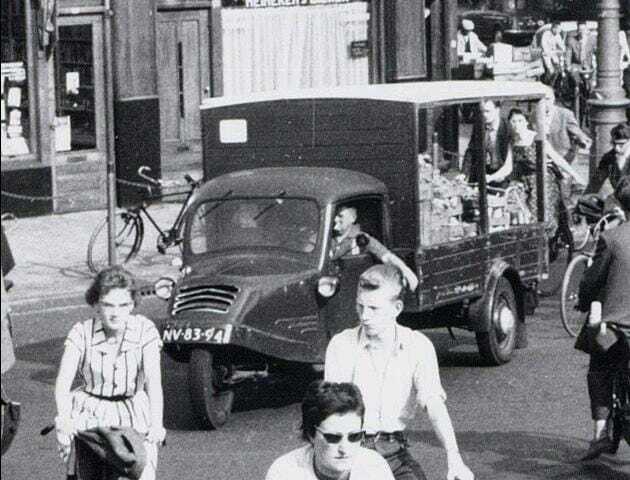 Eventually businesses started using larger, more powerful trucks and delivery vans. Reliant Ant was not very durable or fast, which eventually caused it to go out of production. Now people are actually looking to buy Reliant Ant’s – enthusiasts see them as fun restoration projects and even turn them into fun-looking camper vans. General Motors Bison – a vision of trucks of the future from 1964. Why didn’t it stick? Pretty much everything that you ever buy at one point or another has been on a truck. Semi-trucks are just a crucial part of our civilization and economy and that is why manufacturers are constantly pushing for greater efficiency and performance. 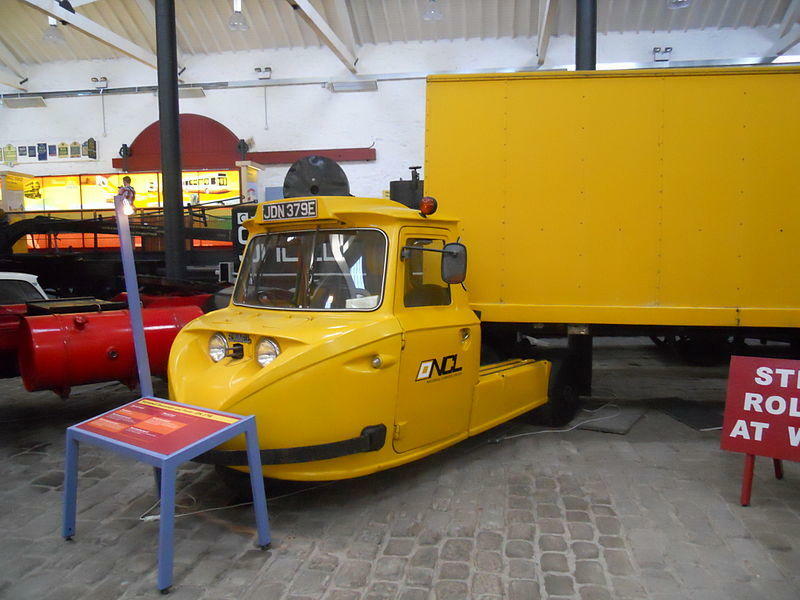 However, nowadays most semi-trucks look a bit similar, even though in history we had some pretty weird examples. Just look at the mechanical horse Scammell Scarab – one of the most bizarre-looking semi-trucks in the world. Mechanical horse is its actual nickname. Back in the beginning of the 20th century rail companies in Great Britain had to use horse carriages for short distances. This, of course, is not very effective, but there were no trucks that were small enough to replace horses. In 1929 Karrier Colt was introduced – a three-wheeler truck, which was small enough to replace horse wagons and yet more efficient and easier to maintain. Karrier Colt was called a mechanical horse because of its role in pulling trailers. It wasn’t very stable or fast, but rail companies didn’t really care for these characteristics. 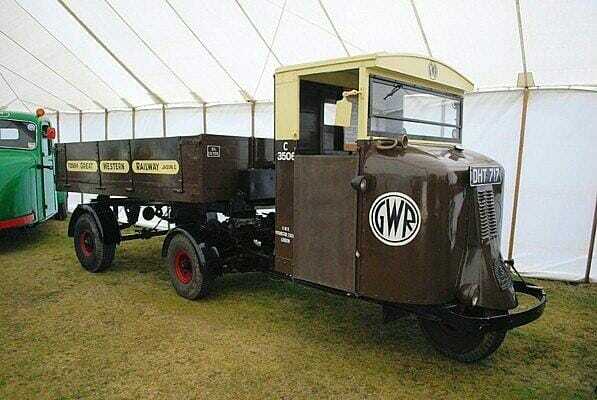 However, in 1930 a new improved three-wheeler semi-truck Karrier Cob was introduced and a bit later Napier & Son Company designed an even better mechanical horse and sold the design to the famous truck manufacturer Scammell. 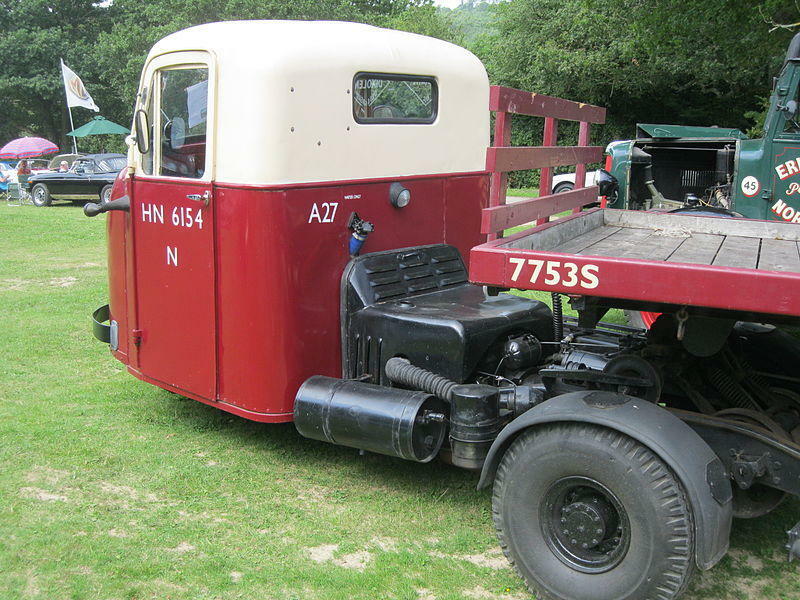 And so in 1934 Scammell started manufacturing its own Mechanical Horse. Its front wheel could turn 360 degrees, which gave the truck unprecedented manoeuvrability. The automatic hitch mechanism received a lot of compliments from people who were working with these machines, because it allowed quick change of semi-trailers. This tiny truck had a wooden cabin which, at the beginning of the production, didn’t even have doors. Buyers could choose from two versions – the 1125 cc engine could tow 3 tons while the 2043 cc engine had a 6 ton towing capacity. 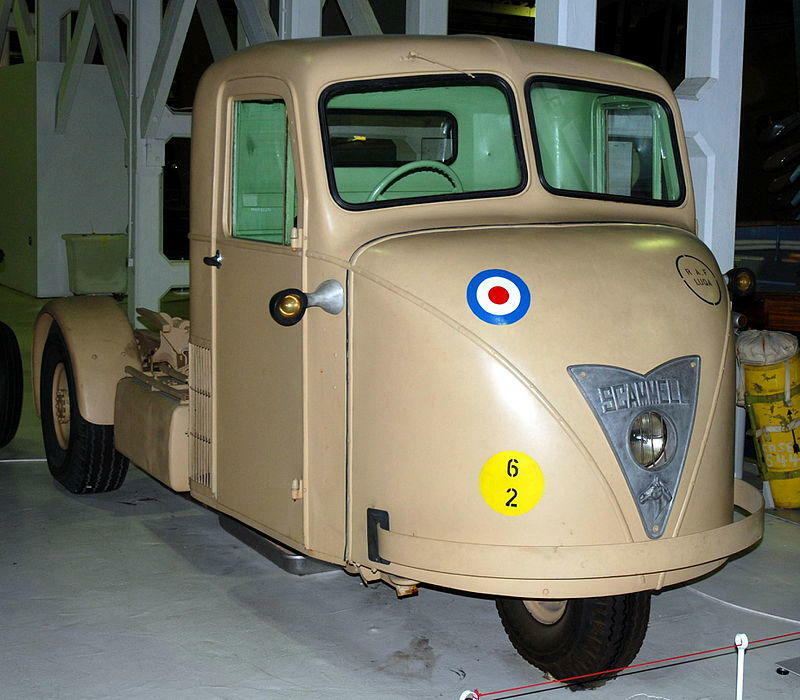 Scammell Mechanical Horse was widely used by rail companies, postal service and even military, which used the little truck in its warehouses as well as on aircraft carriers. However, the Mechanical Horse had disadvantages, the most obvious of which was the high centre of gravity. The engine was mounted in a very high position and off-centre to the left, which made the truck behave differently when turning left or right. These problems were addressed in 1948 when a new version, called the Scarab, was introduced. Scarab had a fully metal cabin, stronger frame and the 2 litre engine now used in both versions was installed lower and closer to the centre of the chassis. Scarab could reach about 32 km/h, which was more than adequate, because it was unmatched for its manoeuvrability. It even retained the front wheel, which could turn 360 degrees. Most importantly, Scammell Scarab was reliable and easy to maintain, because the engine was very easy to reach. Companies didn’t baby these machines – they were working hard and working very well. Eventually, after 19 years of production it was time to replace the Scarab. 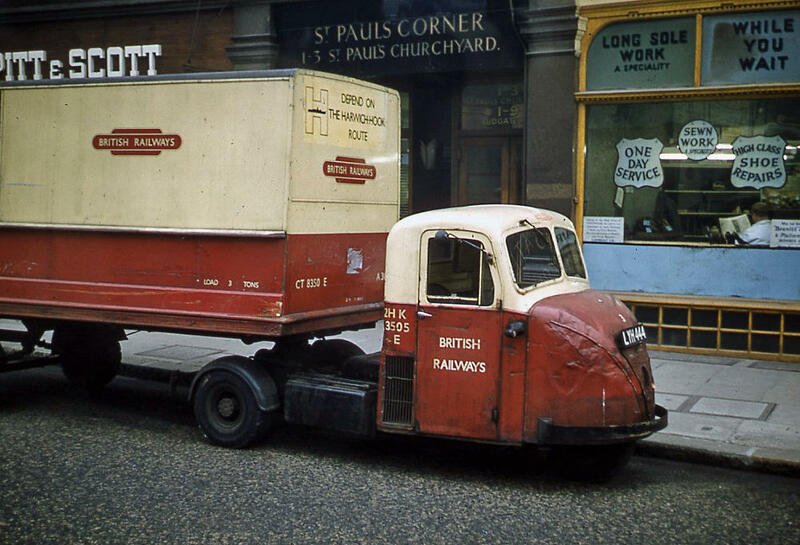 In 1967 Scammell introduced the Townsman – a new three-wheeler semi-truck with a glass fibre body. It looked completely different and could reach 80 km/h. However, despite how modern the Townsman looked the history of the mechanical horse was over – its production ended in 1968 because of new regulations for semi-trucks. 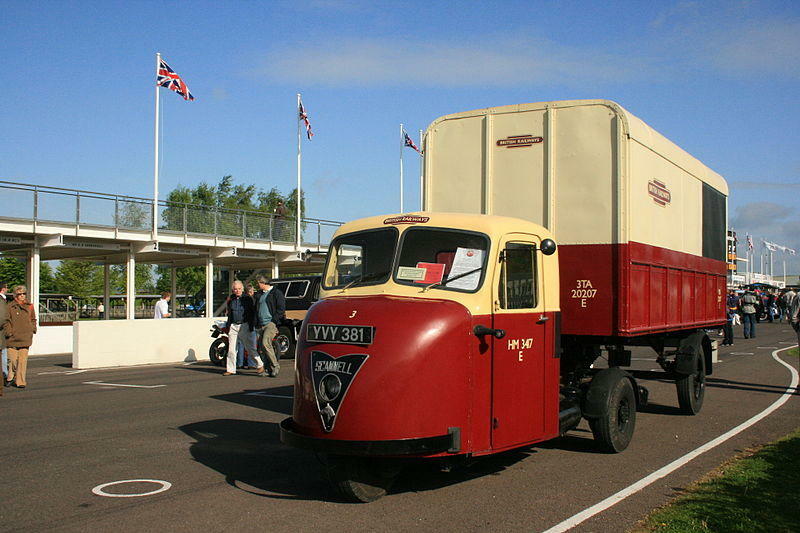 In the period of 1934-1968 Scammell sold over 30 thousand mechanical horses. Scarab, of course, was the most successful model. Sadly, there are not many Scarabs surviving till this day. This happened because they were used as tools and scrapped when they were done. No one protected them because no one thought they would become valuable museum pieces someday. However, it is a very interesting machine and little weird piece in the puzzle of the history of the semi-trucks. Truck is a very important tool for many businesses around the world. In fact, for many businessmen it is difficult to imagine smooth operations and success in a competitive market without a truck. But in some periods in history trucks were difficult to purchase. 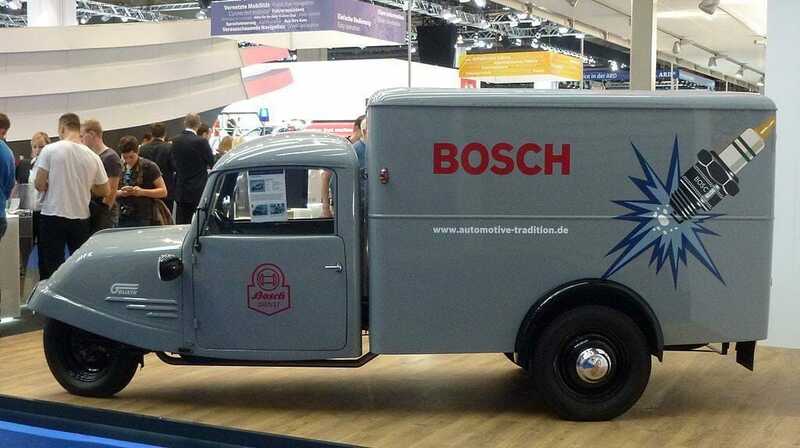 That is why Goliath GD 750 could be considered one of the saviours of smaller German businesses after WW2. Goliath company was established in Bremen in 1928. 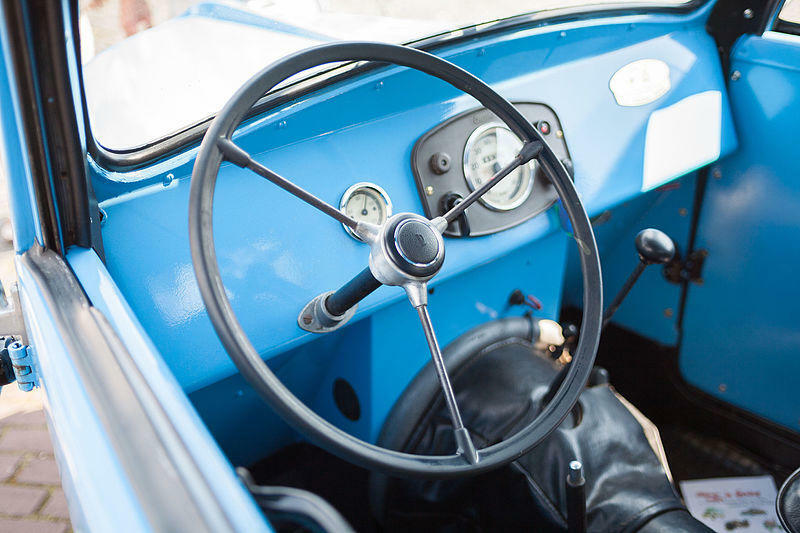 The company made its name by manufacturing small three-wheeler cars and some of them were quite successful. In 1931 Goliath introduced the Pioneer, which became one of the most successful cars in its class. Several thousands of them were sold without much effort. However, as you may imagine, the war paused the car industry. But even after it ended Germany did not look too good. When WW2 was over, people were lacking many things, including hope and economic resources. As years went by, things began looking better and businesses started needing tools for further development. And that is how in 1949 Goliath introduced the new kind of truck – GD 750. It was an affordable small truck with one wheel in the front and a more conventional driven axle in the rear. GD 750 was essentially a pickup truck, but it was also sold as a van. It was what small businesses and farmers needed – an affordable means of transporting goods. Standard GD 750 had a 398 cc two stroke two cylinder engine, which was driving rear wheels through a 4-speed manual gearbox. This tiny engine (it is a truck, after all) produced 14 hp, which was enough to get to around 50 km/h. Presumably, top speed suffered if you loaded your truck too heavy. However, a little more expensive version had a 465 cc engine, which made 15 hp and allowed the GD 750 to reach 55 km/h. A simple pickup truck version of the GD 750 was the most popular, but there were 26 different body options. Stores opted for vans and farmers chose special trucks for carrying cattle. 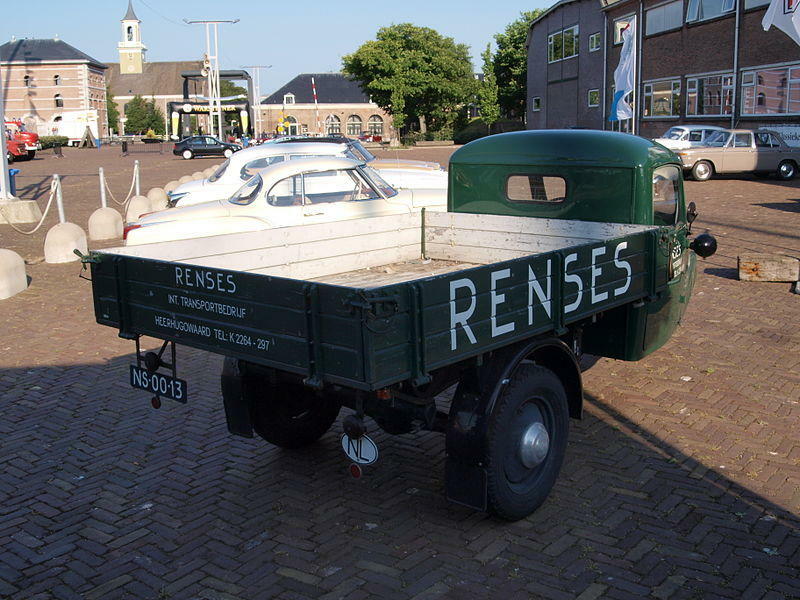 Limited power meant that the maximum load ingcapacity was just 750 kg, hense the name of the truck. Goliath GD 750 cost around 3.6-4.4 thousand Deutsche marks. It really did spread through the West Germany – around 30 thousand trucks were made until 1955 when the production ceased. In 1958 the Goliath brand also disappeared from the map. Interestingly, Goliath GD 750 now is a valuable collector’s item. Not many survived until today, because people of the period did not value these old trucks. Those who have driven it say that it was actually quite stable, especially if it had more weight at the back, but very slow – 50 km/h is not really the speed modern pickup trucks max out at.